1 October 2016, at 12:00a.m. 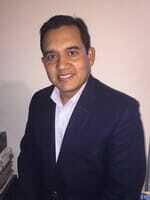 MEXICO - Multinational feed additive producer Nutriad appointed Dr. Jorge Enrique Cruz as Technical/Commercial Manager. Dr. Cruz will be responsible for sales- and technical support to Nutriad’s commercial and distributor network in Mexico & Central America. From its base in Irapuato (Guanajato) the company has been servicing customers for more than 50 years and established a deep understanding of the Mexican market. Jorge Cruz graduated as veterinarian from Antonio Narro Autonomous Agricultural University, obtained his MC degree on Animal Reproduction from the same university and completed his Phd in Animal Nutrition at the University of Chihuahua. With a track record of in field support as an independent consultant, as well as a technical manager in the feed additives industry, Dr. Cruz is well positioned to support customers in the region.